The key difference between somatic and autonomic nervous system is that the somatic nervous system regulates voluntary movements while the autonomic nervous system regulates involuntary movements of our body. The nervous system lets organisms feel the glory of life, and it functions through signal transferring throughout the body to control its movements and other activities. The nervous system comprises two main components; Central Nervous System and the Peripheral Nervous system. Here, the central nervous system is the central processing unit that consists of the brain and the spinal cord. While, the somatic and autonomic nervous systems are the two main components of the peripheral nervous system. Wherein, the basis for the difference between somatic and autonomic nervous systems is their main function. What is Somatic Nervous System? 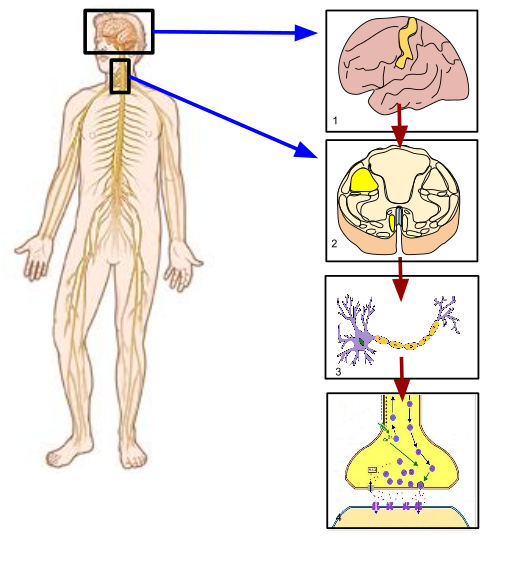 Somatic nervous system (SONS), also known as the voluntary nervous system is a part of the peripheral nervous system. The SONS is capable of managing the movements of the skeletal muscles voluntarily. There are efferent nerves present in the SONS to stimulate muscle contractions. Therefore, we can control the actions of this nervous system. However, this system cannot control the reflex arcs. Furthermore, it is important to study the pathway of the nerve signals to understand the SONS’s functions. The nerve signals begin at the upper motor neurons in the precentral gyrus. Firstly, the initial stimulus from the precentral gyrus (acetylcholine) transmits through the upper motor neuron and corticospinal tract. Then, it proceeds down through axons and finally reaches the skeletal muscle at the neuromuscular junction. At this junction, the release of acetylcholine from the terminal knobs of the axon takes place, and nicotinic acetylcholine receptors of skeletal muscles relay the stimulus to contract the whole muscle. In the above, acetylcholine is an excitatory neurotransmitter. 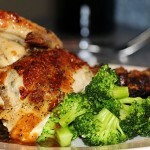 It is present in both vertebrates and invertebrates. However, the invertebrates sometimes have the inhibitory neurotransmitters too in their somatic nervous system. Moreover, despite the ability to move the skeletal muscles very smoothly through the SONS, the reflex arc is an involuntary neural circuit that controls the skeletal muscles. Autonomic nervous system (ANS), also known as the visceral or involuntary nervous system, is a part of the peripheral nervous system that controls the essential muscular movements to sustain the life of an animal. Therefore, contraction of cardiac muscles to beat the heart, muscle movements in most parts of the digestive tract, regulation of respiratory function, maintenance of the size of the pupil, and sexual stimulation are some of the major functions governed by the ANS. Here, despite the fact that ANS regulates involuntary actions, controlling the respiration can be with some consciousness. 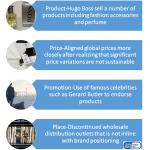 Furthermore, based on these functions, ANS has two main subsystems. Namely, they are afferent (sensory) and efferent (motor). Also, the major components of SONS are the cranial and spinal nerves. Moreover, the presence of both excitatory and inhibitory synapses regulates the proper functions of the ANS in the body of animals. Looking into more detail, the sympathetic and parasympathetic nervous systems are the two main functional modules in the ANS. The sympathetic module is important for ‘fight or flight’ activity, as it promotes very high blood supply to the skeletal muscles, increases heart rate, and inhibits peristalsis and digestion. On the other hand, parasympathetic nervous system promotes the ‘rest and digest’ phenomenon; dilation of blood vessels to the digestive tract is one of the things managed by this subsystem. What are the Similarities Between Somatic and Autonomic Nervous System? Somatic and Autonomic Nervous System are parts of the peripheral nervous system. They are found in the vertebrate nervous system. Also, both consist mainly of nerves. Furthermore, they are the communication lines between the central nervous system and the body. Both conduct nerve impulses from the central nervous system to other body parts. Peripheral nervous system has two main parts; namely, the somatic nervous system and autonomic nervous system. Somatic nervous system controls voluntary movements of skeletal muscles. On the other hand, autonomic nervous system regulates involuntary movements of internal organs. Therefore, this is the key difference between somatic and autonomic nervous system. Moreover, the functions of somatic nervous system are less complex compared to that of the autonomic nervous system. A major difference between somatic and autonomic nervous system is that the somatic nervous system always acts on skeletal muscles but the autonomic nervous system acts on smooth muscles, cardiac muscles, and also on glands. Moreover, we can also identify a difference between somatic and autonomic nervous system in the area of signal transmission. i.e., the somatic nervous system needs only one efferent neoron to transmit signals, but the autonomic nervous system needs two efferent neorons and ganglia to transmit a signal. 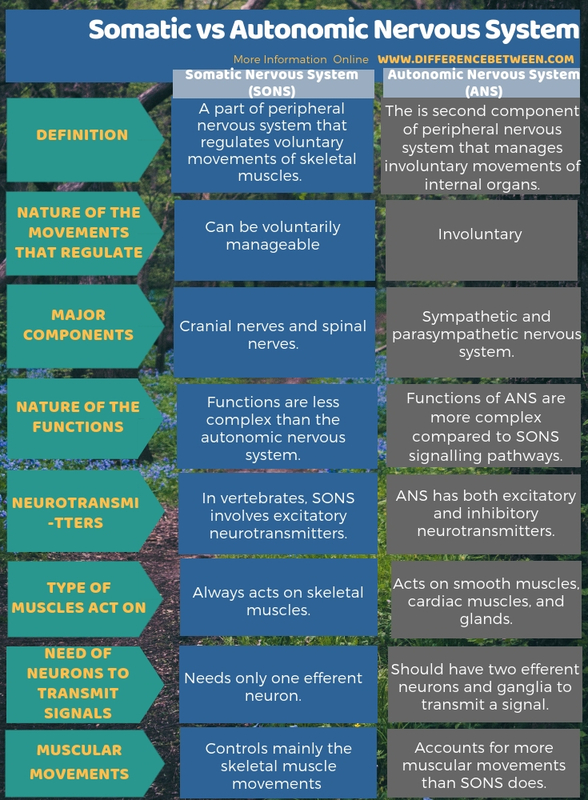 The below infographic gives further descriptions on the difference between somatic and autonomic nervous system. 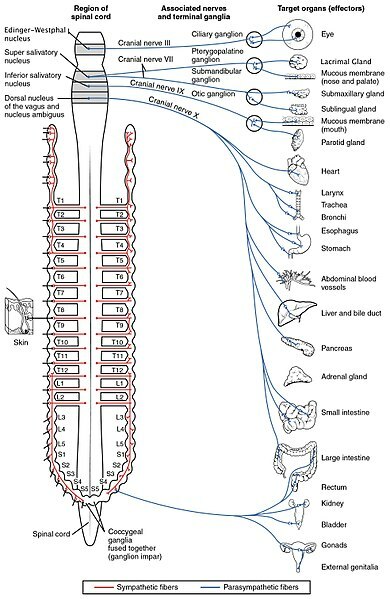 Somatic and autonomic nervous system are the two main parts of the peripheral nervous system in vertebrates. The key difference between somatic and autonomic nervous system is that the somatic nervous system coordinates voluntary movements in our body while autonomic nervous system coordinates involuntary actions of our body. Especially, somatic nervous system regulates the movements of the skeletal muscles while autonomic nervous system controls the involuntary functions of our internal organs such as heartbeat, stomach muscle movements, movements of lungs, etc. As a summary, we can define somatic nervous system as one of our nervous system that we can control while autonomic nervous system is one of our automatically functioning nervous system that we cannot controlled. Thus, this is summary of the difference between somatic and autonomic nervous system.